Emily Jeanne Miller was born and raised in Washington, DC. She attended the National Cathedral School and then Princeton University, where she studied comparative religions. After graduating, she spent several years working as a journalist in California and the Rocky Mountains, covering environmental topics ranging from Indian casinos to nuclear bomb testing to rock climbing bans to grizzly bears. She lived in Missoula, Montana, where she co-edited an anthology of writing from the Clark Fork River basin (The River We Carry With Us, Clark City Press, Livingston, MT, 2002), and earned a Master’s degree in Environmental Studies from the University of Montana. She has an MFA in fiction from the University of Florida. Her short fiction has been published in the North American Review and The Portland Review. 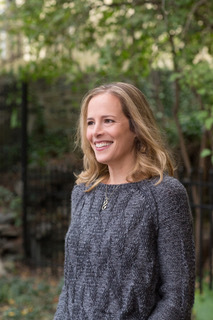 She has been awarded fellowships from Yaddo, Vermont Studio Center, The MacDowell Colony, Aspen Words, and the Sewanee Writers’ Conference, and has taught creative writing and literature at several high schools and Universities. She currently lives on Cape Cod, with her husband, daughter, and dog.